The Arthur Guinness Projects is a major new initiative, recently launched by Guinness in Ireland, and is designed to champion the best of our creators, thinkers, doers and makers in the areas of Arts, Music, Sport and Food by offering support and funding to the winning entries. This major new cultural initiative is designed to champion and celebrate people whose ideas, passion and spirit are enhancing and shaping our culture and identity. The initiative sets out to invest in Ireland’s creators, visionaries and innovators across four areas of creativity and culture: Music, Sport, Arts & Food. Together with a mentoring and promotional support programme, the Arthur Guinness Projects will invest €3 million in people and their projects across Ireland over the next three years, with up to 20 projects benefiting annually. "We are looking for extraordinary people with innovative, inspiring, brilliant ideas, and the passion and drive to make them happen", said Kristin Fox on behalf of Guinness. "All over the country people are trying new things, coming up with new ideas and finding new ways to do business. 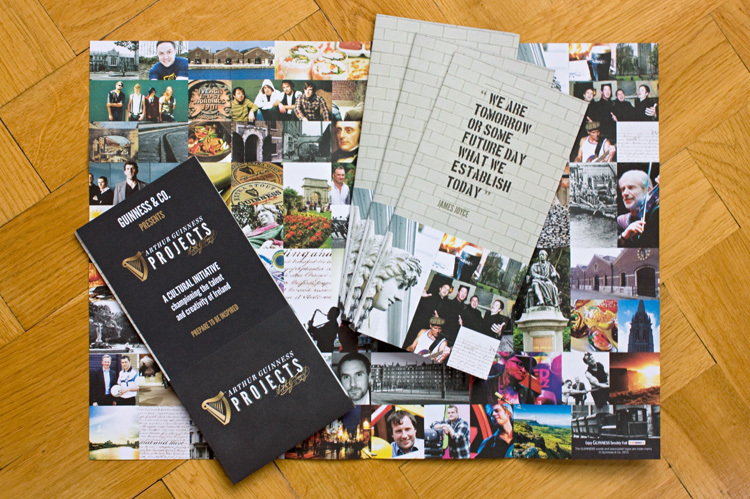 The Arthur Guinness Projects are designed to encourage and support this new breed of visionaries and entrepreneurs. We believe that now is the time to rewrite the rules and re-imagine an Ireland that we can all be proud of." Projects are submitted online with the closing date for entries being the 9th of August 2013. The public will be able to vote for their favourite ideas until voting ends on August 23rd, after which the top 10% of projects will be submitted to their panel of industry experts for judging. If an idea doesn't make it through the public vote, there is one final lifeline, as the panel of experts can choose to award up to four wildcards annually. The Judges for the Food Panel of the Arthur Guinness Projects are Dylan McGrath, Colin Harmon, Michelle Darmody and Barry Broderick. 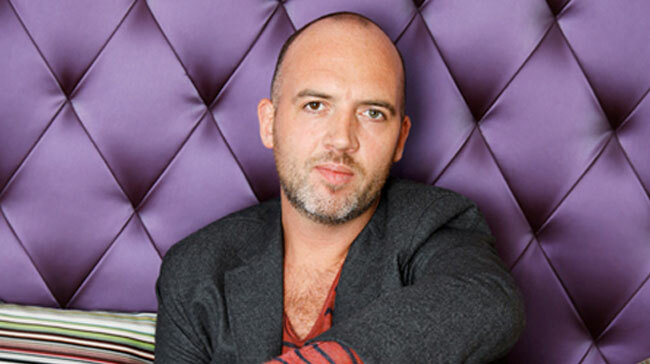 Dylan McGrath is one of Ireland's most exciting chefs. In 2010 he opened Rustic Stone with the idea of fusing a less formal, casual dining experience with the flavours he is so passionate about. Fade Street Social followed shortly after, bringing together two exciting concepts under one roof. Four time Irish Barista Champion, Colin Harmon, recently finished 4th in the World Barista Championships. As founder of specialty coffee shop 3FE, he writes about coffee for various national and international publications, as well and supplying coffee and training baristas for many of Dublin's leading cafes. 3FE is currently building a bespoke coffee roastery. Michelle Darmody is proprietor of The Cake Cafe, food writer with the Irish Examiner and author of best-selling The Cake Cafe Bake Book. Known for her innovative use of PR and Social Media, Michelle’s fine art background is evident in the design aesthetic of the café and cookbook, created in collaborations with Pony Design. Together with his brother Bernard, Barry Broderick has grown the business established by his mother to become an established brand stocked in many of the world's finest food emporiums including Dean & Deluca, Selfridges and Galleries Lafayette. The business now encompasses three brands - Inas Handmade, Brodericks and the Irish Flapjack & Muffin Co.
One of the Food Projects that has captured the imagination of the project is the recently launched Irish Food Tours which is building a network of Guided Food Tourism Holidays around the whole island of Ireland. We offer Culinary Tours by Coach around Ireland, north and south of the border, which include visits to the best artisan food producers, farms & restaurants that we have in Ireland. "We can help Irish food producers and tourism operators build a new and successful future together" said Zack Gallagher who submitted his business idea to the Arthur Guinness Projects. "We are linking up with established food groups and creating new ones, to cover destination areas, to offer Guided Irish Food Tours by Coach Around Ireland. We pay the food producers for up to 20 guests per tour, for about an hour of their time describing their products, telling the story behind the food and tastings and are the only venture that is paying the food producers for their time". To win funding from the Arthur Guinness Projects can help these new businesses to grow to their full potential and give those involved a chance to dedicate themselves full time to the venture.